Ken Livingstone [Image: Rob Stothard/Getty Images]. Who can blame Ken Livingstone for bringing in the lawyers when even a nominally-neutral Huffington Post article can’t get the facts right? The piece said he claimed “that someone was anti-Semitic only if they hated all Jewish people, ‘not just the ones in Israel'” [bolding mine]. Here’s his actual comment, from an interview on the BBC’s Daily Politics: “A real anti-Semite doesn’t just hate the Jews in Israel; they hate their Jewish neighbour in Golders Green or Stoke Newington. It’s a physical loathing.” He was saying it is not okay to hate any Jewish people, if that hatred is based solely in the fact that they are Jews. That is an important difference. The Huffington Post reported that Mr Livingstone’s case is due to be heard next week by Labour’s National Constitutional Committee (NCC), a quasi-judicial body that rules on the most serious disciplinary cases. A special panel of three members from the 11-strong committee will decide the case, which has dragged on for nearly a year. This Writer has discussed the matter extensively in the book The Livingstone Presumption, which you can buy in paperback by clicking this link – or in a handy (and cheaper) eBook version by clicking here. Mr Livingstone has said he will take the Labour Party to court if the panel – which he says consists of two right-wing members of the party and only one left-winger – rules that he should be expelled. He said that leading barrister Michael Mansfield QC and solicitor Imran Khan were preparing a judicial review, which could end up costing the party tens of thousands of pounds. “Michael Mansfield says there’s just no case against me, and can’t justify it. But they’ve rigged the panel against me so there’s two right-wingers and only one leftwinger,” he said, according to the Huffington Post article. “And the way the proceedings are, no press or public admitted, is a complete contempt for our traditions of justice and law and order. So when we go to judicial review the court will just tear it apart. It is. He said very clearly that Hitler was an anti-Zionist. 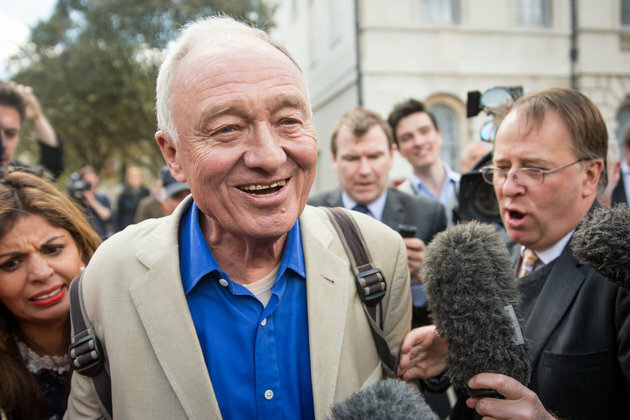 Livingstone suspended from Labour over Hitler remarks: An overreaction? Anti-Semitism row: Do YOU know who originally said “Everything Hitler did was legal”? Go to it Ken and take em to court , just bought the book , done my little bit to support fair play and justice within Labour , which by the day under McNicol gets more and more like a authoritarian regime ! Ken will win! Right wingers are just dragging the PLP down, selfish gits the lot of them! Ken Livingstone was the Labour MP for Brent East constituency for quite a few years before he became the Mayor of London. I bet thousands of Jewish people had been voting for him for a few decades! This is the interesting bit. Who said British politics is boring?! !